YEREVAN — Armenia has embraced the return of 30 soldiers from Iraq after a year’s service. One of the soldiers, Sgt. Sahak Minasyan, has returned as a hero for saving a US high-rank commander’s life. 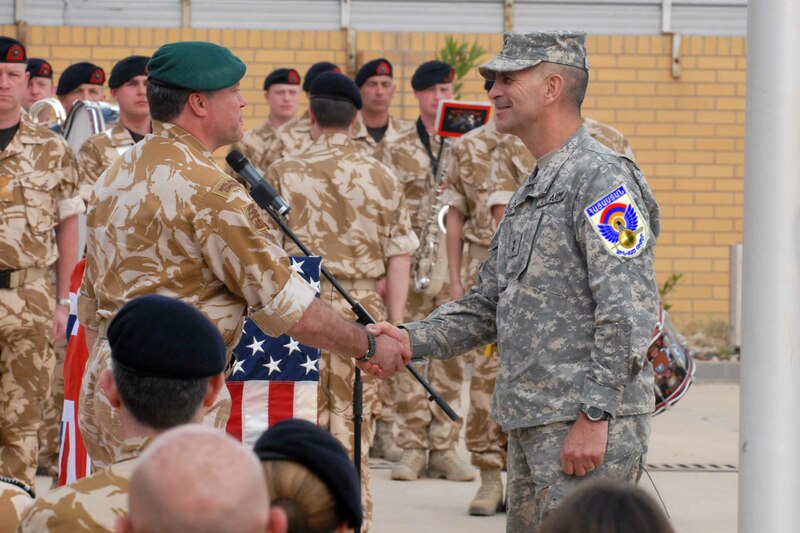 It is the fifth similar case of US military official being rescued by Armenian staff since parliament decision to send troops on January 21, 2006. Since 2006 Armenia sent four missions to US-led Coalition against Iraqi annoying insurgency. Armenian military forces – 20 truck drivers, 5 mechanics and 5 doctors have returned on May 10 to Armenia for a regular rotation. Sergeant Sahak Minasyan, 27-year-old truck driver of the Armenian armed forces, was received by US Defense officials in Yerevan, on the occasion of saving US Marine Colonel, Steve Adams. During an insurgency by Iraqi terrorist groups 2 miles away from US military compound, Sahakyan selflessly rushed to help his American fellow fighter. Minasyan humbles down his deed: “I did what any truck driver would do. I had spotted Colonel Adams taking the burger out of the vending machine a few minutes before the blast, so once the explosion erupted, I figured he is probably choking somewhere in the canteen. So I just went and squeezed him from behind to get the burger out. You know.. like in the movies”. Colonel himself calls Minasyan his “savior” and vows to return the favor one day. “I had just finished my first burger and before that I had a few sandwiches, so this second burger was really the last thing in the vending machine, so someone had to finish it off. Basically insurgents turned my own burger against me.. My own f**kin’ burger. 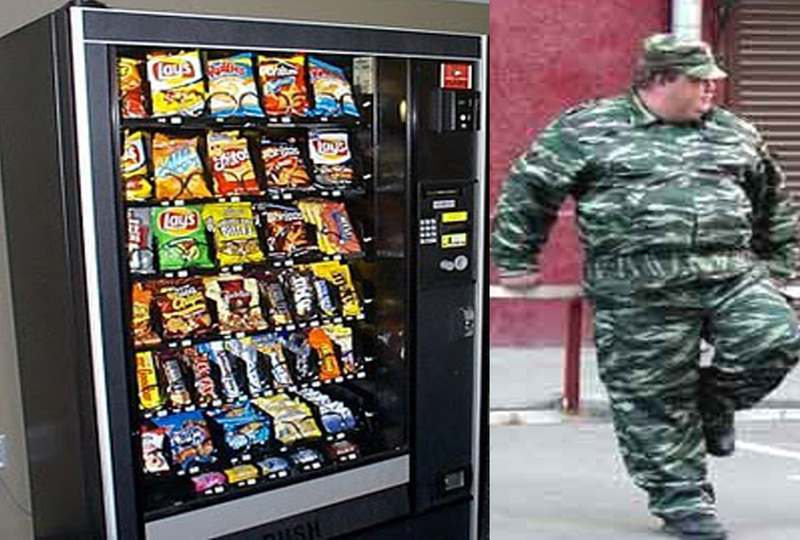 Good thing Sahak had spotted me near the vending machine..,” says Colonel Adams. 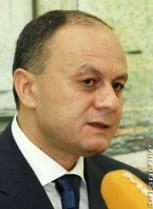 Armenian Defense Minister Seiran Ohanyan, in turn, reaffirmed commitment for continued support to US-led Coalition. “We are now sending out another 30-men strong regiment of truck drivers, cooks and an accountant to support US efforts in doing… well, whatever it is they’re doing there,” said Ohanyan. Sources report miscellaneous injuries among Armenian soldiers rotated back home in May. Undisclosed official from Armenian Defense Ministry told our reporter that “one of medical staff slit finger, trying to stitch a US marine’s foot.” In additional, one of the truck drivers stretched his back during a basketball play with Polish soldiers and two more truck drivers are reported to have been subjected to syphilis. In the meanwhile, Armenia is preparing to also support US Coalition in Afghanistan. A well-trained team of carpenters and tailors is currently going through intensive English language course to be dispatched to the field by late June, 2010.